In Kyle Estate v. Kyle, 2017 BCSC 752, a son whose brother stole money from his dad’s estate was recently awarded over $450,000 in special costs against the offending brother. A father left significant gifts to 4 bothers and named the offending brother as the executor. Unfortunately, that brother transferred significant amounts of money from the estate account into his own personal account and misled the other family members of the estate. After a trial, the offending brother was removed as the executor and another brother was appointed in his place. The offending brother was also ordered to pay over $450,000 back into his dad’s estate in compensation for the funds that were taken. Begin successful at trial, the plaintiff was entitled to costs. However, he sought special costs and double costs for the offending brother’s theft. Mr. Justice Burnyeat was tasked with determining whether the plaintiff could get both special and double costs under the Supreme Court Civil Rules. Mr. Justice Burnyeat referred to Panghali Estate v. Panghali, 2014 BCSC 647 for the principle that special costs, like the ones sought by the plaintiff, are available for misconduct in the course of the litigation itself. Strictly speaking, this would mean that only misconduct that took place after the litigation itself was started could form the basis of an award for special costs. Since the offending brother’s misconduct occurred prior to the start of the claim, it would not normally attract an award of special costs. However, he noted that special costs can be awarded where pre-litigation conduct also warrants rebuke. Additionally, additional authorities have established that beneficiaries, like the plaintiff, may obtain an award of Special Costs against the executor personally if that executor has acted dishonestly and breached their obligations as trustee. 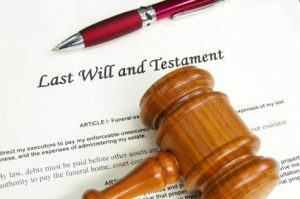 Additionally, if the executor also receives a gift under the will, these costs can be ordered out of his share of the estate. (Gutierrez Estate v. Gutierrez, 2015 BCSC 185; Szpradowski (Guardian ad litem of) v. Szpradowski Estate (1992), 44 E.T.R. 89, 4 C.P.C. (3d) 21 (B.C.S.C. ); Robillard v. Robillard Estate, 2015 BCSC 2011.) The principle behind this is the unfairness to the estate or the beneficiaries from bearing the legal costs of trying to repair the dishonest actions of the executor. Mr. Justice Burnyeat found that the offending brother breached his fiduciary duty before and during the litigation “without abatement and without apology” and that it was appropriate to award special costs of over $450,000 against him. He further ordered that the offending brother must personally pay that money to the plaintiff or that money will taken out of the offending brother’s share of his dad’s estate. Mr. Justice Burnyeat referred to the court of appeal’s ruling in Insurance Corp. of British Columbia v. Eurosport Auto Co., 2007 BCCA 279 for the principle that where special costs are awarded, double costs are not available. Although Eurosport was decided under the former Supreme Court Civil Rules, he found that the new Supreme Court Civil Rules did not make a specific reference to party and party costs when dealing with the question of whether double Special costs would be available. He noted that subsequent decisions such as Hochsteiner v. Kilback, 2014 BCSC 167 have concluded that the same principle applies under the new rules. In light of his award for special costs, Mr. Justiec Burnyeat held that double costs were not available. However, he further held that if he was incorrect in awarding special costs, he would order double costs. Richter Trial Lawyers are your Vancouver Estate Lawyers for varying a will and dealing with executors.